[singlepic id=80 w=320 h=240 float=right]Are you hiding missing, decaying or badly discolored teeth? Getting sick and tired of slipping dentures and denture creams? You could find an optimum solution for your discomfort and pain by getting dental implant dentures in Costa Rica. If you are ready for a smile and teeth makeover, dental tourism in Costa Rica beckons! The US Centers for Disease Control and Prevention has reported that approximately 45 million Americans lack dental insurance. Additionally, the American Association of Oral and Maxillofacial Surgeons found that by the age of 74, 26% of American adults have lost their entire set of permanent teeth. Given such high levels of teeth loss, many are seeking one trip permanent dentures in Costa Rica. Dental implants act as replacement for missing or damaged tooth roots. Dentures are molded teeth that replace missing natural teeth. Dental implants are long-term replacement tooth roots that are placed directly into the jaw bone. They act as foundations for dentures. According to the experts at WebMD, dental implants have a 98% satisfaction rate. Dental implants with dentures help improve the appearance of your mouth and teeth, speech, ease of chewing, and oral health. When you get implant dentures in Costa Rica, it will help raise your self-esteem besides ridding you of the hassle of cleaning dentures and messy adhesives. The low cost of living, labor and medical services translates into affordable fixed denture prices in Costa Rica. Indeed, the cost of dental implants in Costa Rica is 60 percent lower than in the U.S. or Canada. Most packages that constitute dentistry in Costa Rica include consultations, diagnostic costs, and surgical fees, besides medicine and aftercare. The dental clinics are equipped with top rated technology and surgical gear that can provide a range of services, including hybrid dentures in Costa Rica. Dental tourism in Costa Rica has gained ground because there is minimum waiting time. Indeed, same-day consultations are the norm so you can get dental implants and dentures in Costa Rica without scheduling worries. 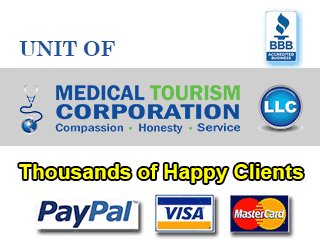 Costa Rican dentists are well qualified and widely experienced. They can ably provide a range of services, from full mouth restorations to implant supported dentures in Costa Rica. [singlepic id=84 w=320 h=240 float=right]Most of the leading dental professionals in Costa Rica are conversant in English. Whether you want to negotiate the cost of implant dentures in Costa Rica or learn more about the actual procedure, you are unlikely to meet any linguistic barriers. Finally, Costa Rica is blessed with a breathtaking natural landscape and unique ecological spheres. Take the time to explore its verdant offerings during your travel to Costa Rica for implant dentures. Your passport has to be valid for at least three months so as to enter Costa Rica for your dental implant dentures. American and Canadian citizens do not require a visa if they are planning to stay for less than 90 days. While not stringently adhered to, rules of Costa Rica require travelers to purchase a round-trip ticket. If you are heading to avail dental implant dentures in Costa Rica, you can either choose to fly into Aeropuerto Internacional Juan Santamaría, nearest to San José or the Daniel Oduber Quiros International Airport in Liberia, depending on your destination. Costa Rica is considered one of the safest countries in Central America. However, like any other travel in foreign lands, use common-sense as you explore the country. During your stay for dental implant dentures in Costa Rica, plan to explore its unending natural vistas. From dense cloud forests, dormant volcanoes, to pounding waterfalls and breathtaking beaches, there is so much on offer! Volcanoes like the Arenal Volcano, Northern Lowlands and the Rincon de la Vieja, Guana Caste where you can rappel up waterfalls and encounter the wonders of lava landscapes. For a unique ecotourism experience, traipse through the dense rainforests of Drake Bay, South Pacific and Manuel Antonio, Central Pacific. Venture into the cool, misty cloud forests of Monteverde and La Paz Waterfall gardens for an inimitable adventure. Discover the treasures of Costa Rica’s charming cities, from San Jose to Liberia. Combining the travel wonders with the top class dentistry will give dental tourists who are seeking dental implant dentures in Costa Rica many reasons to smile! Submit the free quote request form on the right for more information on Dental Implant Dentures in Costa Rica.